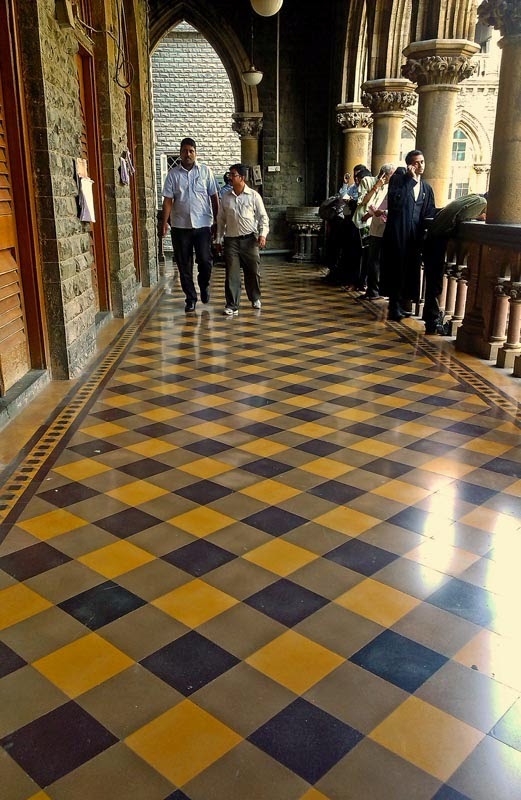 These are images from inside the High Court of Bombay. Courtrooms are spacious, air-conditioned and seats are comfortable. The rooms have high ceilings as this is a heritage building built in the British era. 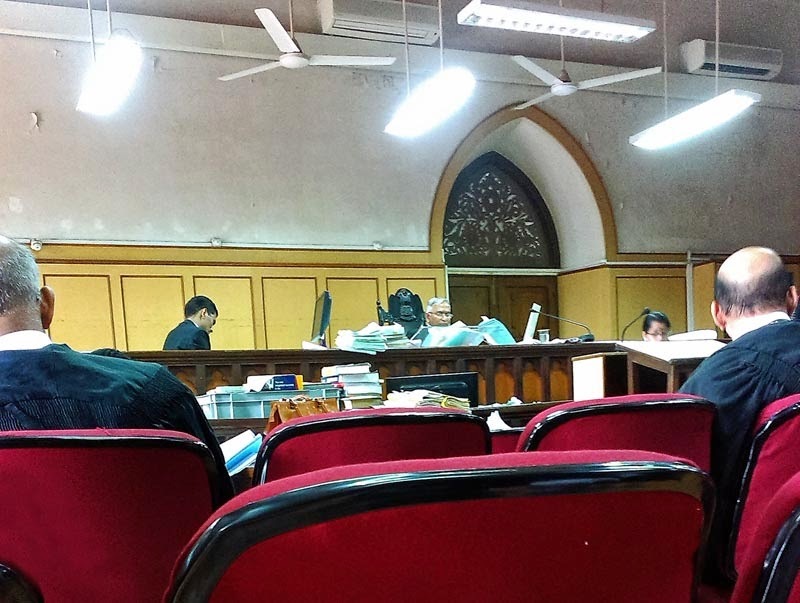 The name of the city of Bombay may have changed to Mumbai, but the High Court is still called the Bombay High Court. In this first image you can see some lawyers sitting on the chairs. The judge is studying some papers on his desk. Courtroom clerks can be seen in the picture. 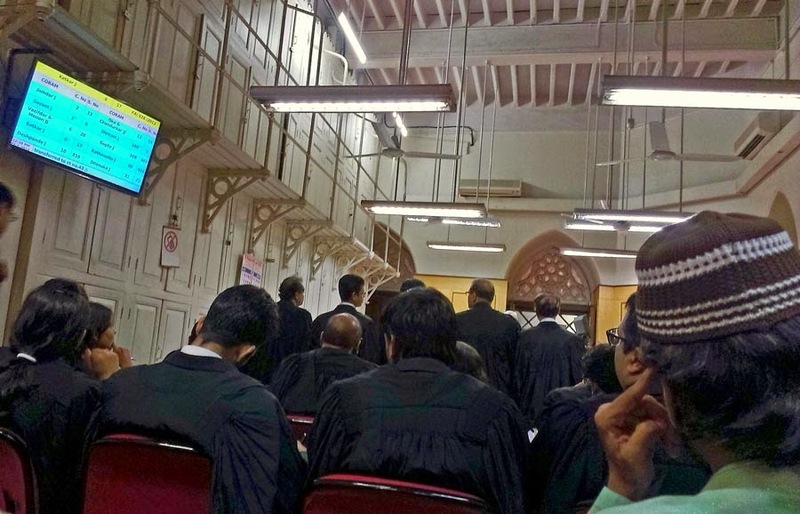 Courtrooms in the High Court of Bombay now have large screens which detail which case is being heart by which judge and in which court room. A godsend to the lawyers who have several cases being heard in different court rooms. A corridor outside the court rooms. 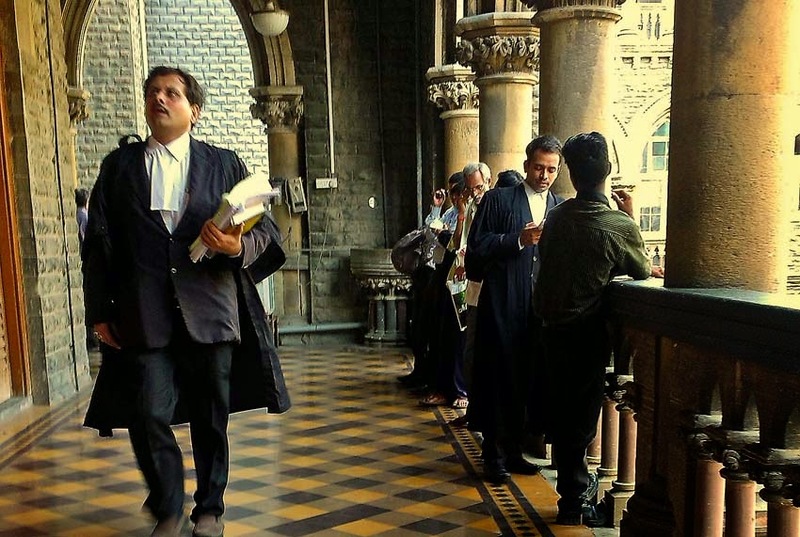 A lawyer walking the corridors of the Bombay High Court. For more images from Bombay check the label Mumbai. Or if you are looking for people in different trades: Occupations.